With “Diversity” in her job title, executive Kim Strong doesn’t take her influential role for granted. As Target’s vice president of Diversity and Inclusion for Target, she’s passionate about building a team full of different views, perspectives and cultures. Most important, Strong helps create a family environment—you can’t help but feel welcome when she’s around. Strong was a strong candidate (no pun intended) for her current role, which she took in Jan. 2011—the Howard University alum has more than two decades of retail experience, from store operations to human resources. She’s also an active member of Executive Leadership Council (ELC), a national membership organization for African-American executives. Recently, we spoke with Strong about her road to the top and her thoughts on Black History Month. What does Black History Month mean to you? Black History Month means a lot of different things to me personally. I look forward to this month every year, although I celebrate Black history year round. This month shines a light on the people who have opened doors for African Americans today; the ones who gave us the opportunities we’re currently afforded. We’ve come a long way but still have quite a ways to go. Black History Month encourages me to think about how we can continue to move forward to the next generation. What does it mean to be an African-American leader? Sometimes, I don’t even think about it. Most of the time I just think that I happen to be a female leader who also happens to be African American. But I’ll never take my role for granted because I know a lot of people had to struggle so I could be where I am today. I haven’t seen my heritage as an obstacle to being an executive. There will always be challenges but, with the community supporting me, I’ve always been able to overcome them. What are some of those challenges? Do you have any personal heroes? If I didn’t have role models, I wouldn’t have made it where I am today. The Executive Leadership Council has made a big impact on me, and has been a real source of inspiration over the years. It’s amazing to have a chance to come together and learn from your peers. 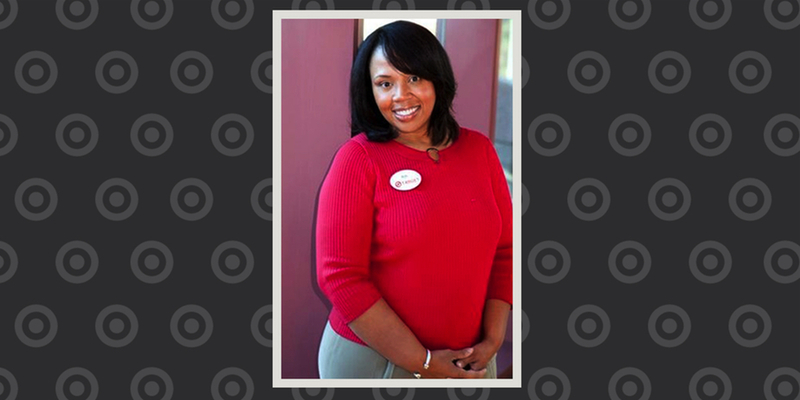 Laysha Ward (president, Target Community Relations) is also a member. Do you have any advice for young African-Americans leaders in the work force? Be nice to everyone. You never know if someone you met 10 years ago could have a pivotal role in your future. The world is getting smaller, especially with social media, and you really have to uphold your own personal brand and be the best version of yourself. You need to be consistent and respectful.